Rebecca is passionate about what she does. She is a lady who loves her work and it shows. I met Rebecca last week when I attended the Foxford Riverfest. She spins her wool from her own Jacob sheep, which she farms here in Co Mayo. What is more she’s spins each fleece individually so you get the unique colours of each sheep. So Blackie the sheep’s wool (as her name suggests) is almost black, but Lizzie’s (who is black and white) wool is a mixture. You can see the finished product of each sheep here on Rebecca’s website. As well as her beautiful natural wool, Rebecca sources wool from local farmers (mostly Suffolk or Texel sheep) which she hand dyes using a range of natural Moroccan dyes. This wool comes in a range of beautiful pastel, earthy tones. She also finds time to knit some of her own hats, booties, scarves and more. You can check out Rebecca’s website here where there is also a link to her Esty shop where she sells the wool and her own knitted goods. 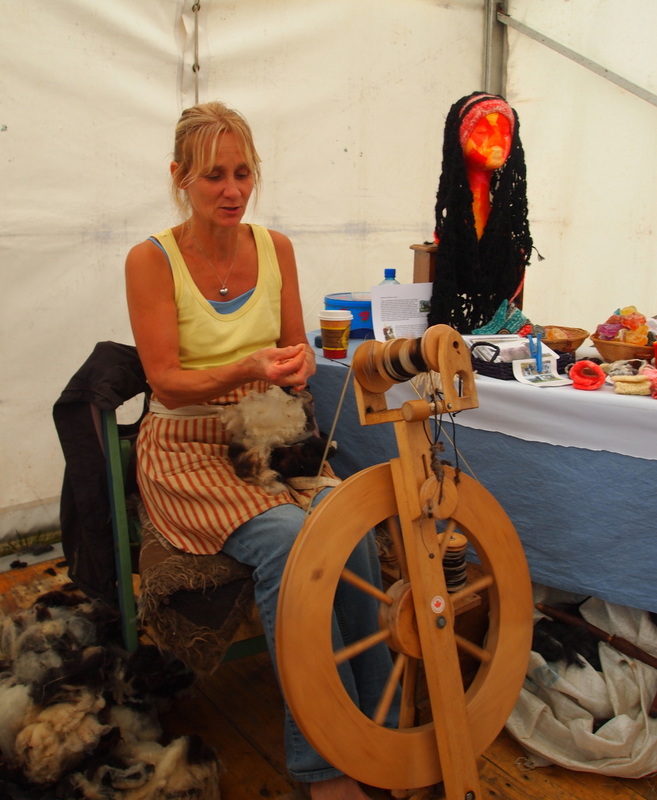 This entry was posted in Rural life and tagged County Mayo, crafts, Foxford Riverfest, hand spinning, hand-spun wool, Ireland, Jacob sheep, natural wool, spinning wool on August 29, 2016 by Murtagh's Meadow. Silent Sunday – Little Ms. Muffet………. 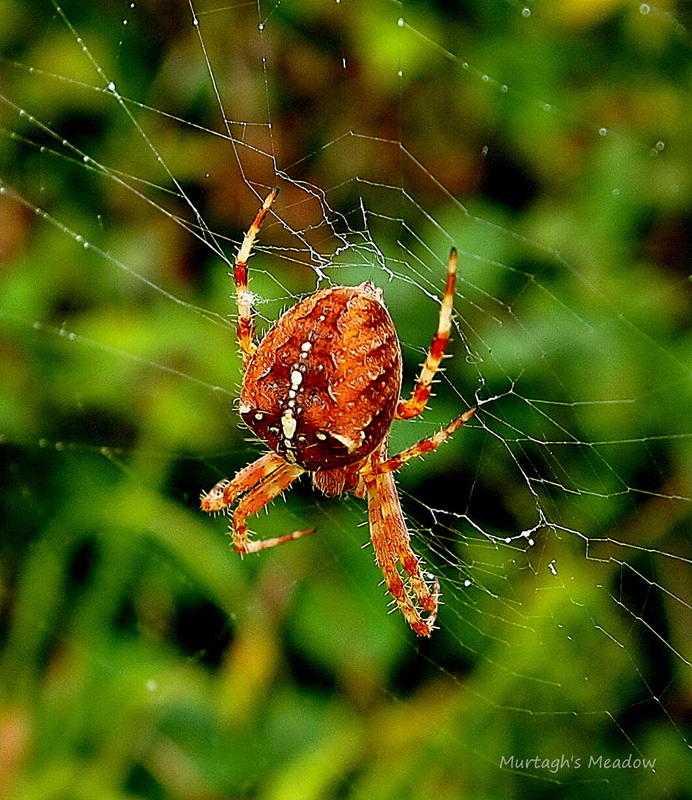 This entry was posted in Nature and tagged Biodiversity, little ms muffet, Silent Sunday, spider, Wildlife on August 28, 2016 by Murtagh's Meadow. A couple of weeks ago the kids decided they would create their own little miniature fairy worlds. With just a little bit of help from me and a whole lot of their own imagination they set to work. My daughter was adamant that only fairies and elves would be allowed – no pixies. It was wonderful to see how much enjoyment could be got from a few logs, flowers and twigs. This entry was posted in Garden and tagged Children's imagination, Daily prompt, fairy, fairy home, fairy log, fairy world, imagination, miniature, nature on August 24, 2016 by Murtagh's Meadow. This week in Ireland we celebrate Heritage Week. A week of celebration of all our Irish heritage, nature, history, people and more. A big thank you to all those who attended the wildflowers walks I was involved in over the weekend at the Foxford Riverfest and Glore Mill near KIltimagh. It was wonderful to see so many interested people, both young and old. A couple of people mention was how lovely it is to learn the names of plants but then how easy it is to forget, days later. So I thought I’d put together a post of some of what we saw to help. One of the favourites. A great plant for bees and butterflies. Purple Loosestrife likes damp ground, and can be often seen in large clumps. Meadowsweet (see below), likes similar conditions and they are often found together. Loosestrife has a high tannin content and was used for tanning leather. The flowers were used for making a dye. It’s well worth stopping to smell this flower, it has a heavy almost intoxicating scent! It gets it name from “mead sweet” – because it was used to flavour and sweeten mead. It was also added to wines and ales. In folk medicine it was used as a painkiller and anti-inflammatory. It contains salicylic acid, which was synthesized into aspirin. Another great bee plant. We have many different vetches in Ireland and Tufted vetch is one that flowers later in the season. All vetches are legumes and can fix their own nitrogen. 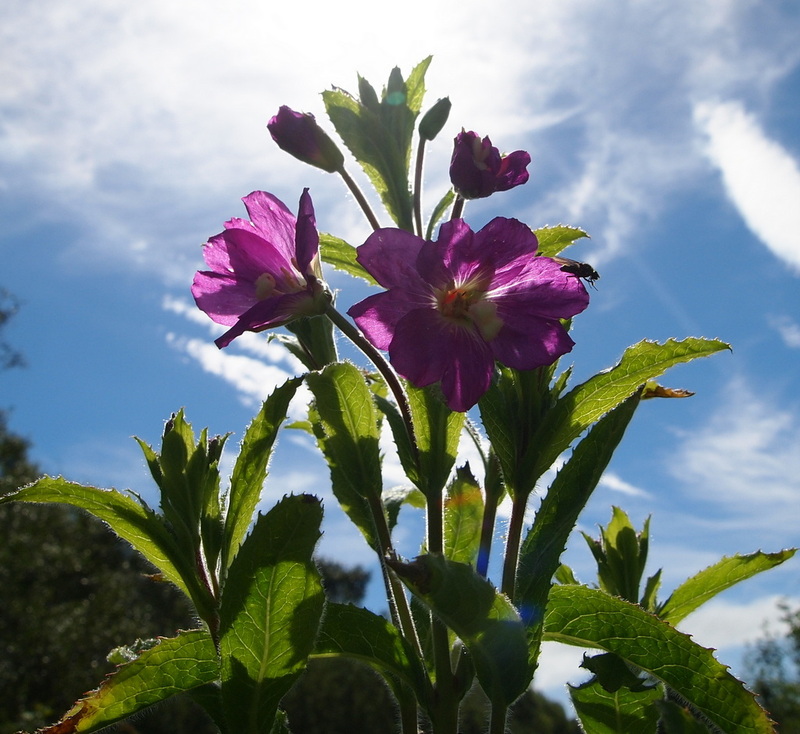 We have a number of willowherb species growing in Ireland. Willowherbs are also visited by bees. The leaves have been used to make tea. It is popular in Russia and know as Kaporie tea. Some species such as rosebay willowherb can be a bit invasive. Ragworth can be toxic to livestock. They know not to eat it but if cut in hay or silage it can be accidentally eaten. However, quite large quantities need to be eaten for it to have it’s toxic effect. though horses seems particularly sensitive. Cinnabar moth caterpillar use this toxicity to protect themselves from being eaten. These brightly coloured caterpillar that only feed on ragworth. Ragworth has been used in folk medicine too. It’s visited by hoverflies and some some solitary bees. This entry was posted in Biodiversity and tagged August, County Mayo, Foxford Riverfest, Heritage week, Ireland, nature, Wildflower Walks, Wildflowers on August 22, 2016 by Murtagh's Meadow. 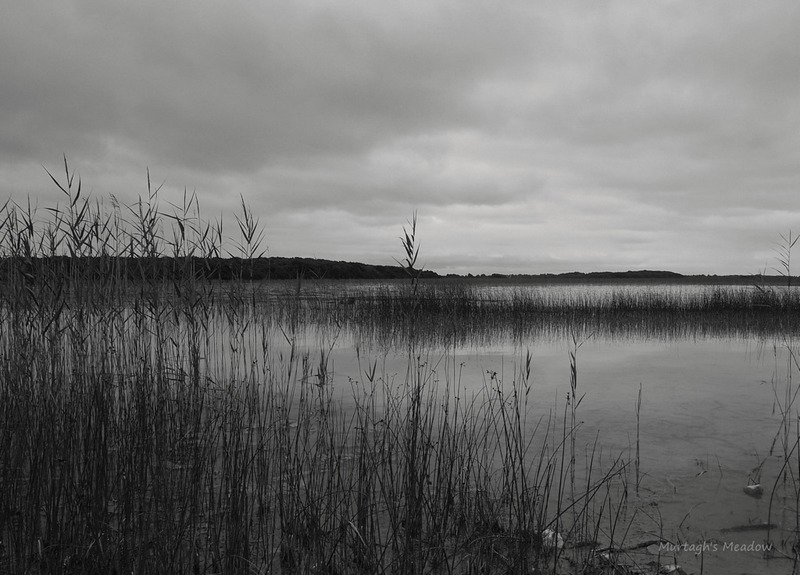 This entry was posted in Nature and tagged black and white photography, County Mayo, Ireland, Lake shore, Lough Carra, Monochrome, Silent Sunday on August 21, 2016 by Murtagh's Meadow. Fruit is ripening but the birds are trying to get them before we do. The plums are coming on nicely, but then I noticed some of the fruit was being attacked by birds (didn’t think to photo damaged plums). So I asked the kids to make me some scary faces, which we laminated and hung from the tree. These, with some hawk silhouettes, seemed to do the trick. At least I thought they did. But then I noticed the birds had moved on to the apple tree instead. Beauty of Bath is an old (1864) English early apple variety. Personally I find them a bit sharp but the kids love them! They are supposed to get sweeter as the season progresses. Ours have a lovely pink flush to the flesh. The apple tree now had it’s own collection of scary faces and a couple of old CDs too. We’ll just have to see where the birds move on to next! 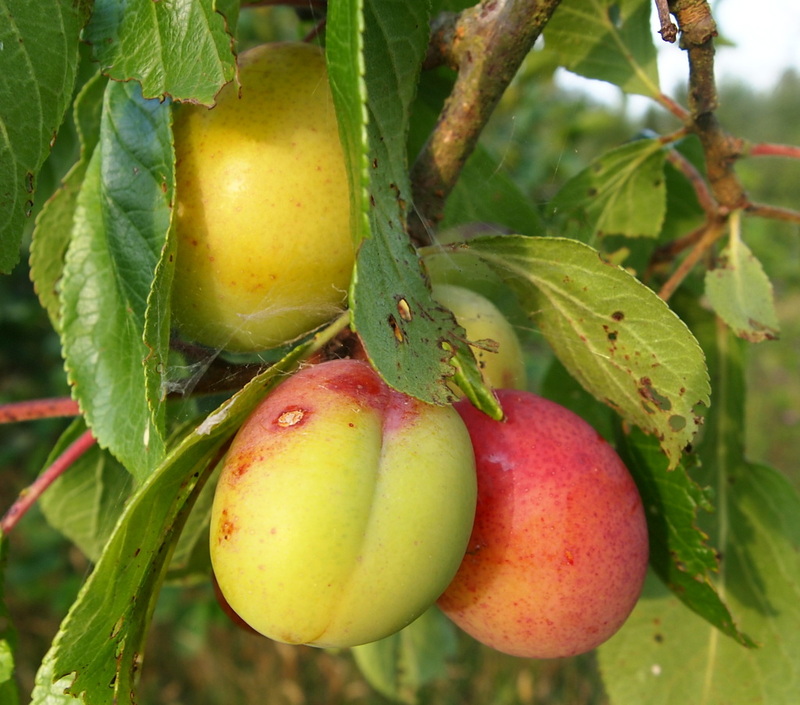 This entry was posted in Fruit and tagged Beauty of Bath Apple, birds, fruit trees, garden, Victoria plum on August 17, 2016 by Murtagh's Meadow. 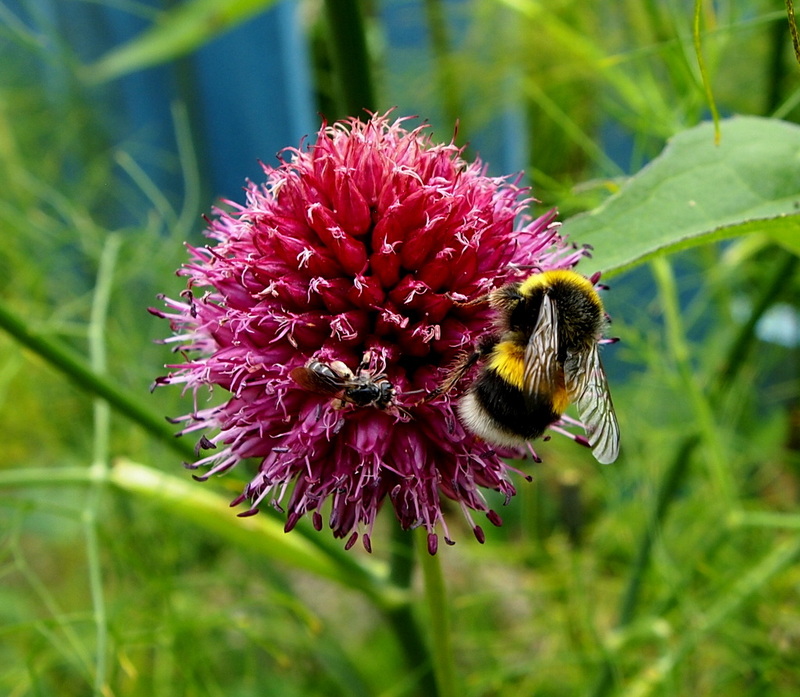 This entry was posted in Biodiversity and tagged bees, bumblebees, garden, nature, Silent Sunday on August 14, 2016 by Murtagh's Meadow.